The foxtail palm tree (Wodyetia bifurcata), an Australian native, is an adaptable, fast-growing specimen. In recent years, varieties of foxtail palm trees have become popular with landscapers and nurserymen in warmer zones of the United States. Grown in a wide range of soils, the only requirements are that soil be well draining and not highly acidic. Tolerant of salty sea spray and wind, the foxtail palm tree is an excellent choice for those who live on ocean fronts and other salt prone areas. Let’s take a look at how to grow foxtail palms in your garden. Easily started from seed, the foxtail palm tree is suitable for container growing and may be used as an interior planting if correct growing conditions exist. Containers must be large enough to accommodate the large root system. 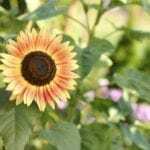 Seeds may be started in small containers and transplanted when germination occurs. The attractive foxtail palm tree grows most rapidly in a full sun area, but may thrive in partially shaded areas as well. 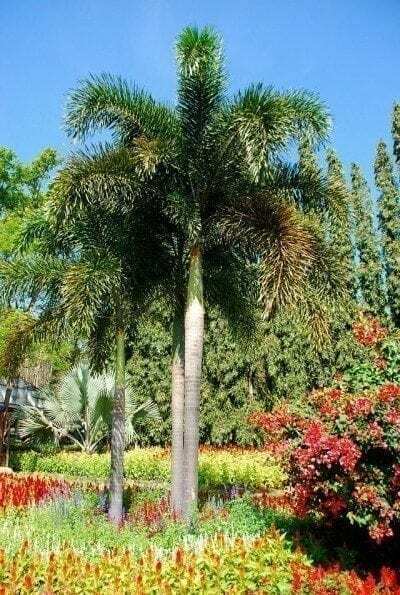 The foxtail palm tree prefers a humid environment which may be provided by nearby fountains or pebble trays in the immediate area where it is grown. Seeds started in pots should be kept moist until germination occurs. Germination may occur as quickly as one month or take up to one year, but is most often accomplished within a three month time frame. Well drained soil and adequate watering, combined with appropriate fertilization ensure a low care beauty wherever it may be planted. Easy maintenance is associated with the foxtail palm tree, as it is a self-cleaning specimen; meaning that spent leaves will die and drop from the tree as needed to facilitate new growth. While the foxtail palm tree is somewhat drought resistant, regular watering encourages optimum growth and a lush, exotic appearance. Regular watering is required until the tree is established, usually in one or two years. Caring for foxtail palms should include mulching, but mulch should not hug the trunk. Mulching helps retain moisture and discourages maintenance workers from accidentally injuring the trunk with mowers and trimmers. It also keeps weed growth down in the area of the foxtail palm tree. When feeding the foxtail palm tree, fertilizer should be heavy on nitrogen, which encourages lush green foliage growth. Foxtail palm fertilizer should be balanced and also contain micronutrients and trace elements. Controlled release fertilizer is preferable to rapid release, water soluble fertilizer, as the latter moves through the soil too quickly to benefit the deep and spreading root system. In areas where manganese toxicity may exist in the soil, such as some areas of Hawaii, a low pH may be corrected with the application of limestone. Foxtail palm fertilizer may be the pellet form and should be broadcast in the area under the tree’s canopy, taking care not to dump large amounts on newly forming roots which may burn. Avoid fertilizing against the trunk area. Once they are properly located, caring for foxtail palms is relatively simple. Once you grow these specimens you will quickly learn how to take care of the foxtail palm. Through experience and experimentation you will determine which foxtail palm fertilizer is best for your conditions and which varieties of foxtail palm trees you prefer to grow. Read more articles about Foxtail Palm.